Freddie writes his own scripts ! Never mind the smart analyses. Never mind the psychobabble. Never mind the medical theories and the insider stories. Freddie writes his own scripts and the Flintoff clan, massed in numbers throughout the Lord’s Test, seemed not surprised at the heroics. And nor really were the crowd for whom he is way beyond folk hero status. The timing of his announcement about this being his last Test series just before the second Test match seemed a bit crass and a diversion from the real business at hand. I wasn’t the only commentator to think that perhaps Fred might have waited until the end of the Ashes. But little did we all know that in the honest and straightforward world of Andrew Flintoff once he has made up his mind about something he wants to tell us all about it. And little did we also know that far from being a distraction this would be the motivator that drove Fred on – and which was one of the key factors in England’s splendid Test win. Fred’s 5 wicket haul finally shut the door on a tenuous Aussie fightback – and it got his name on the bowling honours board at Lord’s for the first time as well. And the only time that I saw Ricky Ponting smile today was when he went over to Freddie and shook him warmly by the hand after the presentation ceremony. Andre Flintoff is not the greatest batsman of his era nor the finest bowler. But his happy knack of playing the vital innings or taking the vital wicket, combined with his unaffected charm and his lack of pretension have made him, if fit, the first name on the teamsheet through most of his career. We have three more opportunities, we must hope, to see Fred in England’s Test match colours – don’t bet against him playing a pivotal role for the rest of the summer aching and sore though he may be for much of the time. 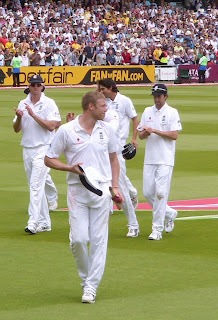 Nobody puts bums on seats like Andrew Flintoff – and no-one is more deserving of our thanks both for his achievements and for his unique and utterly beguiling style. When Michael Vaughan resigned as England’s Test Captain, and simultaneously Paul Collingwood stood down as limited overs captain, Kevin Pietersen was the obvious if courageous choice to replace them both. He was by some distance England’s best batsman and commentators close to the game all agreed that he was a thoughtful cricketer with a good tactical brain. 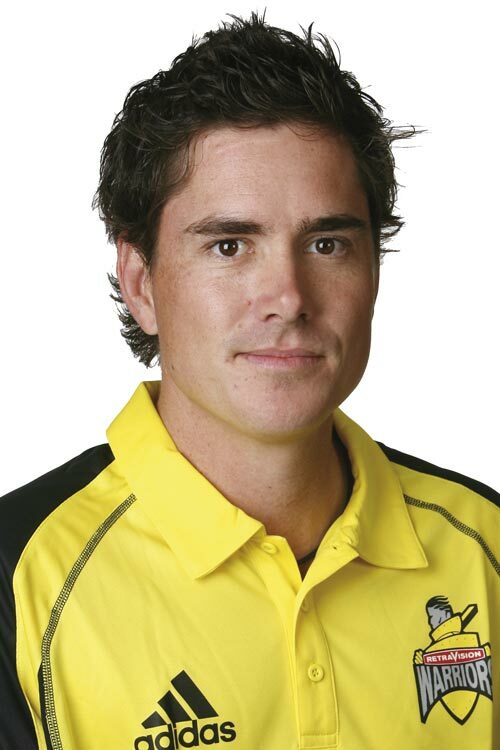 The skunk-haired tyro had gone and KP’s personal life had settled down with his marriage to the sensible and supportive Jessica Taylor. That is was a choice that required courage came not from the risk that Pietersen would not be worth his place in the team, nor that he lacked tactical awareness, although his captaincy experience was minimal and he would clearly have to learn on the job some aspects of the role. The risk of Pietersen’s appointment was the mirror image of its potential potency – KP is utterly unlike anyone who has ever been an England cricket captain in the past. His fellow South African Tony Greig had a similar southern hemisphere approach which was the reverse of the Cowdrey/May tradition – although his style was not dissimilar to that of Hutton or Illingworth. But Greig grew up in a Cape Province and his father was Scottish – this was the world of English speaking white South Africa and although the culture was obviously different to that of the old country those differences were not huge. Kevin Pietersen, on the other hand, grew up in Pietermaritzburg which was in the heart of Voortrekker country – and that is very different indeed. To those who may be unfamiliar with white South Africa the differences between those of British Isles origins and those who are Afrikaners are enormous. Language and religion – those most decisive of differentiators are different and so are attitudes to life in general. It is no exaggeration to say that someone like Tony Greig would have far more in common with the British than he would with his Afrikaner fellow South Africans. And Kevin Pietersen, his English mother notwithstanding, grew up in a solidly Afrikaner environment. His strong father seems an archetypical Afrikaner and the values that he instilled in the young Kevin must have been much more South African Dutch than they were South African English. Far more Hansie Cronje than Graeme Smith. When the England and Wales Cricket Board (ECB) appointed Pietersen as captain they could not have been unaware that his personality and style were completely un-English. True KP had proclaimed his allegiance to England and had an England cricket tattoo on his arm. But one of the reasons that he had already sharply divided opinion among the cricketing chattering classes was that inbred into him was an “in-your-face” competitive style which came in no small measure from his Pietermaritzburg upbringing. This is seen as arrogance and a bit show-poneyish by those for whom Peter May or Colin Cowdrey were the epitomy of how a cricketer should behave. But those on the other side of the argument argued that this was exactly what England cricket needed. In the same way that England only won an Ashes series when they appointed a Southern African coach if we were to do this again, and maybe even win a Limited Overs tournament as well, we need the shock to the system that Kevin Pietersen would bring. So the ECB took courage in their hands and appointed the very foreign Kevin Pietersen as England’s captain. Results came in immediately with a Test match win and a One Day series victory against South Africa. KP also handled the communications duties of an England captain with aplomb and he looked to be an inspiring captain on the field as well. His body-language was excellent and the England players were clearly responding to the KP enthusiasm. The tour to India was more difficult on the field but Pietersen did well in the hugely different circumstances post the Mumbai attacks. But KP wanted to be in charge, which is what he was taught as a child - there can be only one leader in a team. The trouble was that the England coach Peter Moores thought that he was in charge as well and he was not only a hands-on manager but he had a personal style that was anathema to Pietersen. Moores had been comfortable in the supremely English and rather deferential world of Sussex and this, combined with a pride and bloody-mindedness which came perhaps from his North-country upbringing was a recipe for conflict with Pietersen. The ECB had to choose whether to back their captain or to back their coach – and in the end they backed neither! KP was sacked and Moores dismissed as well. From the moment that Kevin Pietersen lost the job as England captain he has seemed a totally different person – hardly surprisingly, nobody likes being humiliated. True his natural talent has seen some decent performances but he is indisputably not the same man he was. The smiles, when they come, look forced and in the interviews what were once self-confident statements of intent now sound like parroted platitudes. And at Cardiff we saw a side of Pietersen that suggests that the ECB have more than just the loss of an original and potentially inspiring captain to answer for. KP’s first innings showed that he still has the ability to play a long and careful innings if the circumstances require it – 69 runs off 141 balls is snail-like but it was appropriate, up to the point when he got himself out. Petersen’s shot against Hauritz was not a misjudgment – all batsmen do this from time to time. It was a predetermined unorthodox swipe at an innocuous wide ball that would have been out-of-place on a school playground let alone in a Test match. It would take a combination of Freud, Jung and Brearley to even begin to understand what is presently going on in Kevin Pietersen’s mind. His second innings dismissal was bizarre not because of the foolishness of the shot, as in the first innings, but because KP usually knows well where his stumps are. 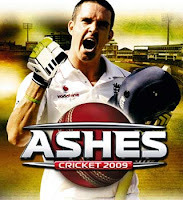 Leaving a ball, which then bowls you happens of course but rarely to someone of Pietersen’s natural cricketing talents. Was it fear that led him to leave a ball he could easily have blocked? Who knows – but what is clear is that England’s best batsman has lost the plot and that his mind and his emotions are in turmoil. And the cause of this malaise is clear as well. In the world of competitive sport in which young Kevin grew up you have to win and you have to take personal responsibility for your actions. If you make mistakes you learn from them. Draw a line and start again. That Pietersen made a mistake in his feud with Peter Moores and in the near ultimatum that he gave his employers at the ECB is true. But the ECB, and especially Hugh Morris the ECB’s “Managing Director”, should have been far more understanding and considerate and should have reflected that the change in England’s cricket fortunes that they wanted from the Pietersen appointment would not come if they summarily dismissed him. If they had wanted the May/Cowdrey style of Andrew Strauss the ECB had a couple of earlier occasions when they could have appointed him but they chose the very different Andrew Flintoff and then Kevin Pietersen instead. Strauss’s captaincy at Cardiff has been uninspiring and has been a contributor to England’s downfall. Would things have been different if Kevin Pietersen had still been in charge - I have not the slightest doubt that they would. Not only would Pietersen’s leadership style have been likely to make the Aussies think more that the rather diffident and apologetic Strauss. But KP would have led from the front and by example. If he had been captain it is inconceivable that he would have played the shots that led to his dismissal in both innings. So the ECB have not only denied themselves the chance of having a competitive Ashes series with Pietersen and Ponting standing foursquare up to each other at every match. They have also turned off and discomforted their best batsman and it is by no means impossible that we have already seen the best of Kevin Pietersen and that instead of being the force that leads England to real international success he becomes little more than a long footnote in modern English cricket history. And if that happens the suits in the ECB offices at Lord’s should be thoroughly ashamed of themselves. “Look mate, you have to be patient if you want to wear the Baggy Green” says Marcus North* when asked how it feels to make an Ashes debut at the age of nearly 30. North impressed with his solid innings of 54* yesterday in a partnership with Michael Clarke which finally killed any remote chnace that England might have had to force a win the first Test match at Cardiff. Asked whether his County experience had helped him North was clear: “Look, my time at Durham in 2004 definitely taught me how to bat on English pitches like this one at Cardiff, then my move to Lancashire in 2005 helped me develop further. Obviously also my spell at Derbyshire in 2006 was very valuable. In 2007 I moved to Gloucestershire and put some firm roots down and played almost a full season for them in 2008. I am also grateful to Hampshire for letting me play for them this year in preparation for the Ashes”. The self-congratulatory air in and around Sophia Gardens this week, from Simon Jones to Max Boyce and every Taff in-between, has been stomach churning. Add in the truly ghastly singing by all the male singers who couldn’t be prised away from the microphone (Katherine Jenkins was wonderful though) and you have an event of cloying sentimentality to remind us English why we only under duress cross Offa’s Dyke. That Glamorgan has a cricket tradition I happily acknowledge and that from time to time they have delivered quality players for England (even an England Captain) I thank them for as well. But in truth this tradition gives them no more right to host an Ashes Test match than Gloucestershire or Leicestershire or Sussex or Kent or any of the other counties which play at small country grounds. Quite what the economics of the Welsh Development Agency’s decision to subvent the redevelopment of Glamorgan’s ground are will no doubt remain opaque. In Cardiff this week in the media there was plenty of unaudited bombast about how much money one Ashes Test was bringing to the City. Unaudited and unchallengeable like most of these things it will no doubt become an urban myth that the millions spent on the SWALEC stadium will be covered by all the English and Aussie fans that descended on the city and tried to drink it dry. The Glamorgan board is congratulating themselves about how little the SWALEC cost compared with other grounds – maybe so but surely they could have spent these millions more elegantly; this is a modern ground utterly devoid of any architectural merit. The Pavilion looks like a 1960s secondary modern school. At the ground my impression was that by far the majority nationality was English and that the Aussies outnumbered the Welsh comfortably. Plastic daffodils and leaks were not much in evidence but there were plenty of Kangaroos. Now this may all sound churlish and bigoted and I apologise for that. But whilst it is true that the organisers have put on a decent show (the flat wicket aside) so they should have – that is a necessary condition of hosting a Test match anywhere. Had this Test been at Trent Bridge or Old Trafford (with their historically far superior claims and their bigger grounds) then of course we know for sure that they would be well organised – they’ve done it for a hundred years or more. And had it been at Durham with their bigger ground and far stronger claim (they have after all already successfully hosted Tests) then few would have complained. There was even a strong argument that the Rosebowl was well ahead of Cardiff in the queue to host a Test. The process by which Cardiff was selected to host an Ashes Test ought to be thoroughly investigated – not by the complicit members of the England and Wales Cricket Board and all their past and present Morgans and Morrises but by an independent body concerned about the way public money is spent. But I doubt that it will happen. Underpinning the finances of Cardiff’s Test match adventure, aside from public money, was the determined pursuit of commercial sponsorship and of corporate hospitality in particular. That’s the modern world of sporting profit and loss - offensive though it might be for ordinary fans to see hundreds of guests at events who are there to be entertained not by happenings on the field of play but by the food and drink in the corporate lounges. At Cardiff these free-loaders have been given the best seats in the “Really Welsh” (sic) Pavilion and when one of the best passages of play was underway after lunch on the second day, with Freddie Flintoff challenging young Philip Hughes, these seats were virtually empty (see photograph). So were the rows of the pavilion occupied by cricket fans eagerly anticipating the Ashes Test match? Or were they there for the food and the wine and only eventually returned to their seats to sleep off their lunches. You decide! I hope that Kevin Pietersen and the rest of the England top order were watching intently as events unfolded at Cardiff yesterday. Not just at the Ponting and Katich batting masterclass during the last two sessions of the day but also the splendid attack launched by the England lower order in the morning. 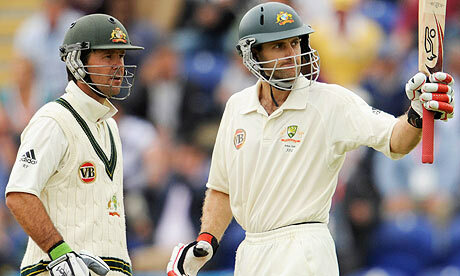 In their vastly different ways Broad, Anderson and Swann (for England) and Ricky Ponting and Simon Katich (for Australia) showed how to bat on a pudding of a pitch. There are two approaches and international batsmen of quality should be able to follow either. If the wicket is benign and the attack no better than adequate then depending on the state of the match you either get your head down, use your technique and experience and quietly graft your way without taking any risks to a decent score. If, however, you want to dominate the bowling and the state of the match requires that you do this then you can become more adventurous and try and take the attack apart. On Wednesday afternoon with England 97-3 at lunch Pietersen and Collingwood needed to restore their side’s position so grafting was necessary. They did this well, survived the next session and took England to 192-3 at tea. A few overs later Colly lost his concentration when on 64, and with an Ashes hundred for the taking, he edged a catch to Haddin off an innocuous ball from Hilfenhaus (228-4). Then with the score at 240 Kevin Pietersen played the most gormless shot I have ever seen in cricket at any level to put England back in trouble. All the good work of the afternoon session was undone in two shots – one ill-advised and the other just plain brainless. Back in 1965 the great Ken Barrington was dropped from the England side for taking seven and a half hours to make 137 against New Zealand. And a year later Geoffrey Boycott suffered the same fate for his exceptionally slow batting against India. Pietersen’s wilful, self-centred and grotesque dismissal at Cardiff was surely just as culpable as Barrington and Boycott’s tardiness. Will the England selectors of 2009 have the courage to follow the lead of their predecessors of forty years ago? They certainly should. Back to the masterclass. Ponting and Katich soon realised that the much hyped slow turner apparently due to appear at Sofia Gardens was either a myth or was a long time a-coming. England were bowling OK but nothing was helping the swing or pace of Flintoff, Anderson or Broad and there was nothing in the pitch for Panesar or Swann either. If they kept their heads they could put Australia into a decent position by the close, and knock on to biggish personal scores as well. Where Colly and KP had blown it from a similar position Punter and Kat clearly weren’t going to do the same. Today if the weather holds and there is no sudden deterioration in the pitch there is no reason at all why Australia can’t push on entertainingly and have a lead of perhaps 150 by the close – and they can win the match from there. This Cardiff pitch is not fit for competitive Test cricket – at least on the evidence so far. It seems that fears that the pitch would break up and Glamorgan would be shamed by a three day Test (or less) lead not only to the sacking of a groundsman but to a gross over-compensation by his successor. You could play a Durban 1938 length Test match on this pitch and not get a result. Just like in Adelaide in 2006 when after four days the curator was lambasted by all and sundry for the run-rich and bowler unfriendly pitch he delivered in the second Test of the 2006-7 Ashes series. Well we all remember what happened on that fifth day – the pitch didn’t crack up but England did! And don’t write off the possibility of the same happening at Cardiff 2009. This Test match is far from over! The 2009 Ashes begin at last! Mock ye not! Certainly I won’t be laughing at Glenn McGrath for his 5-0 (to Oz of course) Ashes whitewash prediction – not with my record as a Nostradamus anyway. Only a few weeks ago I predicted confidently that The British Isles Rugby team (aka The Lions) would be beaten by at least 20 points in each of the Test against the Springboks. The final points tally over the three Tests was Boks 63 Lions 74 by the way in case anyone forgets to tally it up. And how wonderfully well the Lions played from that moment in the first Test when they looked down and out at 7-26 early in the second half. Moral victors in the series? Well not quite – South Africa perhaps just about deserved to win but The Lions did all of the inhabitants of our little group of British islands proud didn’t they? And so to Cardiff. Well I’ve vented my spleen enough about the iniquity of the choice of venue for the first Ashes Test – so now I’ll just head for the M4 and hope for the best. Having discovered laverbread on my last visit to the Principality I’m looking forward to breakfasting again on this mouth-watering dish. At the opening ceremony we are apparently going to hear “Hen Wlad Fy Nhadau” along with “Advance Australia Fair” with the British National Anthem with its reference to Her Maj (Head of State in both participant counties in The Ashes contest) not featuring. I wonder if this is the first sporting occasion when not one member of the home team could understand a word of the “home” anthem – let alone sing it. Rumours abound about the Cardiff wicket and whether there is a cunning plot underway for Panesar and Swann to roll the Aussie over with their twiddlers. Decent bowlers both but I really do doubt that they strike fear into the hearts of our friends from down under. There will be one or two young Australian batsmen appearing in an Ashes Test for the first time – as a certain Don Bradman did 79 years ago at Trent Bridge. Wisden wrote of the young Don that summer that he was “A glorious driver, he hit the ball very hard, whilst his placing was almost invariably perfect. He scored most of his runs by driving, but he could cut, hook, or turn the ball to leg with almost the same certainty.” Bradman was 21 years old that summer – about the same age as the tyro Philip Hughes this year. I’ll try and put the mockers on Hughes by making the comparison with the Don but it really does seem that he has the same range of shots as his illustrious predecessor. Has he the nerve as well? We shall see. It is customary to say that bowlers win matches and so it is on the bowling attacks that many commentators are concentrating in there pre-Ashes pieces. I’ll do the opposite and suggest that the key players, other than Hughes, will be the indisputably great Ricky Ponting, the reliable and solid Hussey, the now in-form North and the almost Gilchrist- like Haddin who could be the reason that Australia will have the edge. Mind you if Strauss, Bopara and Pietersen all strike form on the same day – backed up by Cook and Colly and the rest England might post the occasional formidable total themselves. I also have strange gut feel that Ian Bell is going to feature some time during the series and that he will do well – but that as near as I’ll get to a prediction. Well “Iachydd Dda” to you all – let’s hope for some fine cricket this week!